Hi Basket Ball Trade Rumors fans, when it comes to basketball, specifically, betting on basketball it can be a really interesting concept. Take for example, March Madness, math folks say that the odds of willing or picking a perfect bracket is nearly impossible. For example “ for years mathematicians have told us that the odds of picking a perfect NCAA tournament bracket are a staggering 1 in 9,223,372,036,854,775,808 (that’s 9.2 quintillion). Wow, that has never happened to this point. Imagine though, if you did pick the perfect bracket what the betting odds to do so are. I bet you can find those odds at bet on basketball. Tonight, November 21, 2018 marks a huge day for Lebron James as he makes his return to Cleveland for the first time since joining the Lakers this past offseason. While many people thought that he would get many boos, like the time that he returned to play in Cleveland with the Heat, the reality is that this time, he got a nice warm ovation. People should take some time to check out the all new casino 2019 to see how they think that the Cavs will do this year. The NBA rumors are swirling today as it is rumored that teams are trying their best to land disgruntled Kyle Irving. Yesterday, the Miami Heat denied that they had made a trade offer to the Cavaliers, however, it is mentioned that as many as six teams have made inquired on Irving since his trade request. The New Orleans Pelicans pulled off one of the most astounding trades in the NBA in living memory by acquiring the services of DeMarcus Cousins from the Sacramento Kings. The Kings agreed to part with one of the finest players in the league for somewhat meagre compensation, in the form of a top-three protected 2017 first-round pick, a 2017 second-round pick, 2016 first-round pick Buddy Hield along with veterans Langston Galloway and Tyreke Evans. 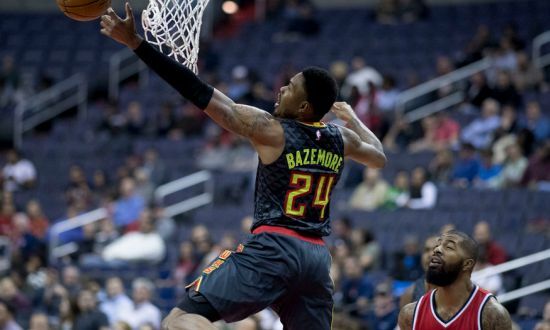 The Atlanta Hawks made a strong surge into the playoffs in the 2015-16 campaign, only to be defeated by eventual NBA Champions the Cleveland Cavaliers. Mike Budenholzer’s men have been a consistent presence in the post-season since his arrival at the club in 2013, but they’ve had their run ended by the Cavs in back-to-back years. Espn.com is reporting that the Denver Nuggets are one of a few teams that are very interested in Perry Jones III. The 6 foot eleven forward has never stuck in the NBA despite playing in 143 games. Last year he opted to play in Russia with the Russian team BC Khimki. The United States of America national basketball team so far has been doing pretty well in the Olympics: they‘ve won three out of the three matches that they‘ve had so far, promptly demolishing China and Venezuela and managing a more difficult victory against Australia. Now they’ve got two more European opponents to play until the QF – but the dream team is a bit short in the dream department, or so it seems this far. 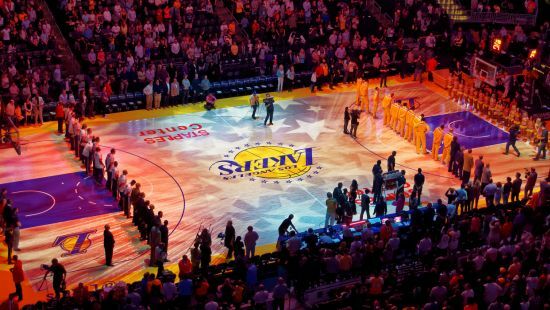 No Kobe, No Party: Where do the LA Lakers go from here? The Los Angeles Lakers are in a spot of bother: Iconic shooting guard Kobe Bryant, who played for the Lakers for the entirety of his 20-year career, hung up his cleats at the end of the season and they now lack a genuine world class talent on their roster. Los Angeles have struggled to inspire confidence in recent years and will now need some of their younger starlets to step up and raise their game as they attempt to cope without Bryant. LeBron James is one of the biggest names in basketball history. The overall number one pick from the 2003 NBA Draft has lived up to the hype and must be regarded as one of the best players of all-time. He has won the NBA Championship twice – both with the Miami Heat – and has been named the Most Valuable Player on four separate occasions. Ultimately, he’s a dominant force in the sport but his second tenure in Cleveland may be coming to an end. At least, it is if you believe the latest reports that suggest James could be on his way out of the Quicken Loans Arena at the end of the campaign. 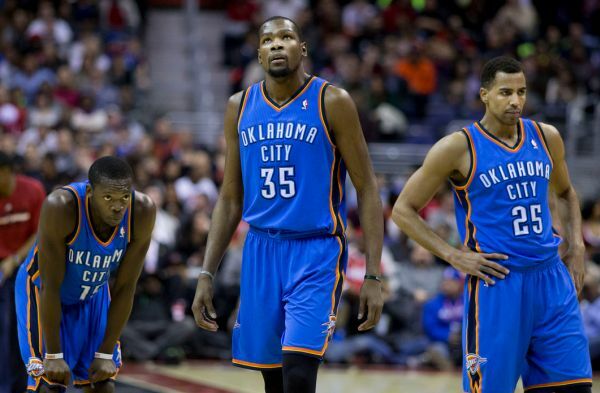 Will Kevin Durant join the Los Angeles Clippers at the end of the season? Kevin Durant has been a key member of the Seattle SuperSonics/Oklahoma City Thunder since he was selected with the second overall pick of the 2007 NBA Draft. However, that could all change in the coming weeks and months. According to reports, the Los Angeles Clippers are attempting to negotiate a sign-and-trade transaction that would send Blake Griffin across to Oklahoma in exchange for Durant. The Clippers are one of the NBA’s most prestigious sides and, while the LA Lakers may be the first Los Angeles team to come into most people’s heads, their city rivals are certainly on the rise.